When my friend Rose Marie first asked me what I knew about water kefir, I was baffled. Water kefir, she explained, was a culture for a bubbly beverage made from water, not milk, in the form of “grains” that resemble those that produce kefir. I was skeptical. Was water kefir, like kombucha, another excuse to drink soda pop and call it good for you? Well—yes, more or less. But I’ve since come to enjoy using what many Americans are now calling water kefir but that has gone by many other names in the past, including California bees, African bees, ale nuts, Balm of Gilead, beer bees, beer plant, and Japanese beer seeds. 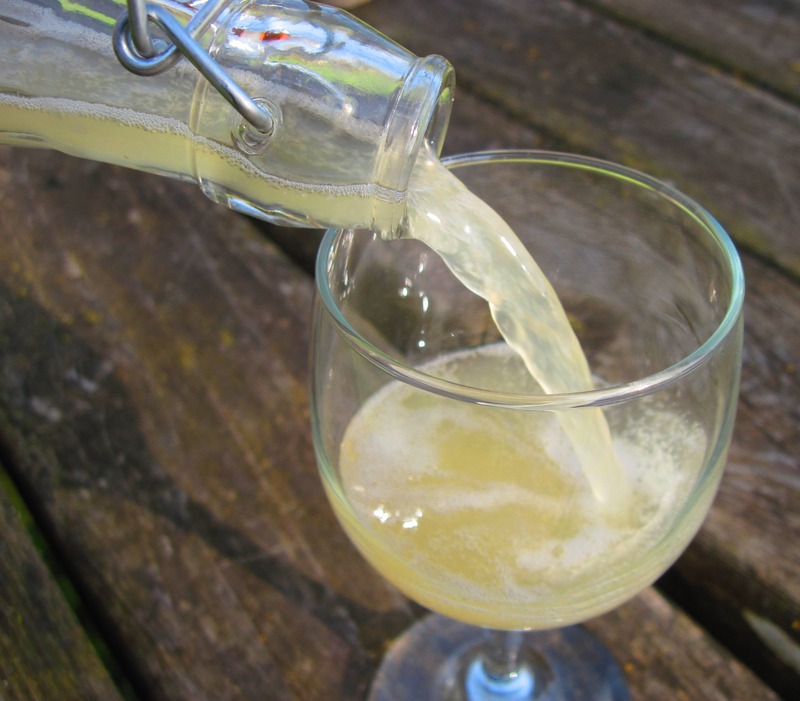 Europeans call water kefir tibi, and they maintain that it came originally from Mexico, where it is likewise called tibi or, traditionally, tibicos.1 In Mexico, grains of tibicos are fermented with pineapple juice or brown sugar (or both) in water to make tepache de tibicos, a refreshing, sweet, slightly alcoholic beverage. Tibicos, or water kefir grains. The coloration on some of them resulted from using dark fruit syrups. 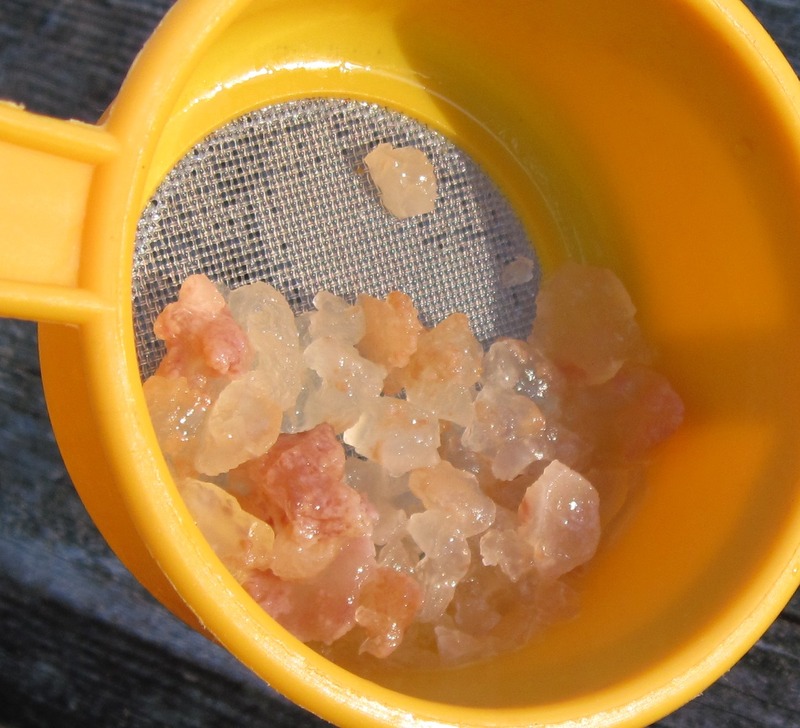 Rose Marie ordered some of the grains from an online vendor and brought me about two tablespoons of them in a little plastic tub of water.2 I poked them; they were firm, irregularly shaped, colorless and translucent gelatinous masses, averaging about a quarter inch across. I fed them some sugar and put the tub in the refrigerator. Within a day or two the lid was swelling. I needed to do something soon with my tibicos, I figured, or risk killing them. I could put them in a jar on the counter with more sugar water, but I wouldn’t want those empty calories, and why would they? Surely they would prefer to have some fruit juice. I didn’t have a pineapple handy, but it occurred to me that I had dozens of bottles of fruit syrups of various sorts, left over from candying fruits or made experimentally. On hot days my kids sometimes combined the syrups with carbonated water from the grocery store. I considered how I hated buying those plastic bottles, and hauling them back to town to recycle them. I was beginning to see some value in tibi. Pour ½ to 3/4 cup fruit syrup, depending on the magnitude of your sweet tooth, into a quart jar. Add a tablespoon of tibicos and enough water to fill the jar. Fit a lid on loosely. Set the jar on the kitchen counter. Wait two days. Strain out the tibicos, rinse them, and store them in fresh sugar-water in the refrigerator. Funnel the partially fermented liquid into a liter-size clamp-topped bottle, the kind with a ceramic stopper that’s lined with a rubber ring. Clamp the bottle shut. Leave it on the counter for two days, no more. When you’re feeling hot and thirsty, unclamp the bottle. Gas should explode from the bottle just as if you’ve opened a bottle of champagne. If the explosion is weak, reclamp the bottle and wait another day or two. Then pour a glass of the bubbly. Adjust the taste if you like, with an ice cube or a squirt of lemon. Reclamp the bottle, and leave it on the counter. Pour yourself more tibi every day or two until the bottle is empty. Each time you open the bottle, it will be as bubbly as before, or more so. I’ve made strawberry tibi, Asian pear tibi, plum tibi, and even tibi from syrup left from preserving green walnuts (the last tasted a bit like root beer). My only mistake was when I left the tibi bottled too long, perhaps four days, without releasing the pressure. Between opening the bottle and reaching the sink I managed to spray every wall and cupboard and several open cookbooks with plum pop. If you don’t drink your tibi every day, do remember to open the bottle daily to release the pressure. If you forget one day, open the bottle the next day in the sink or outdoors. Ignore the example of one tibi maker, who, after a bottle of his tibi exploded, stood at a distance from the others and shot them with a rifle. In an article published in 1990, Jürgen Reiss analyzed tibi scientifically. 3 The grains, he found, are made of dextran, a polysaccharide. Within the dextran are, in a symbiotic relationship, three species of microbes: Saccaromyces cerevisiae (which is used in making beer, wine, and bread), Lactobacillus brevis (common in sauerkraut and fermented pickles and a spoiler in beer), and Streptococcus lactis (also known as Lactococcus lactis, and used in making buttermilk and cheese). Reiss concocted his experimental tibi with dried figs and other dried fruit, as is common in Europe. This is what happened in the fermenting tibi, according to Reiss: The sugar level declined constantly. After six days the alcohol reached its maximum level, slightly less than 0.5 percent, and acetic acid reached its maximum, too. Lactic acid was produced “in reasonable levels” only after fourteen days. I can barely taste the acetic acid in my tibi, but I can’t miss the lactic acid. When it comes on, after about three weeks in my cool kitchen, the pop suddenly goes flat and sour. It is now vinagre de tibicos, which is drunk in Mexico to promote weight loss, fight arteriosclerosis, and prevent heart attacks. Only at this point does tibi seem truly comparable to kombucha, a weak vinegar made from a solution of refined sugar, flavored with tea, and usually drunk when partially fermented, so it’s at once sweet, sour, and slightly alcoholic. Both tibi and kombucha are considered probiotic, tibi because Lactobacillus brevis is said to survive in the gastrointestinal tract. Tibi is different from kombucha in that tibi is slow to sour and, when it does, the acid produced is mainly lactic, not acetic. Tibi is also much gassier than kombucha, though not as gassy as commercial pop. As a child I never liked those sharp-tasting bubbles or the violent burps that followed. But with the gentler gassiness of tibi I’m learning to appreciate the taste of carbonation. Yes, carbonation has a taste! Only a few years ago, at the University of California, San Diego, scientists discovered that an enzyme expressed on the sour taste receptor cells in our mouths is stimulated by carbon dioxide.4 Humans have been enjoying this taste since at least the late Middle Ages, when bubbly mineral waters from natural springs became popular, medicinal refreshments. Ginger beer, made from another set of bacteria in natural symbiosis, originated in England in the mid-eighteenth century (you can buy ginger beer “plant” as well as tibicos from online sources). Europe’s great appetite for both mineral and bacterial bubbly waters caused Joseph Priestly to believe he’d made a great discovery when he invented the first artificially carbonated water in 1767. Soon English and American pharmacists were combining carbonated water with syrups to produce our modern soda pop. Until well into the twentieth century, people believed that carbonated water of any sort, syrupy or not, would cure or ease all sorts of ailments. I wasn’t fooled, though. I was drinking pop without dyes or artificial flavorings or colorings, pop that might please the bugs in my bowels, pop that didn’t require buying or recycling a nasty plastic bottle, but still I was drinking pop. Could I make it a little more healthful? I eyed the quince in honey syrup on my kitchen counter. This was March, and the jar had sat there since early December. 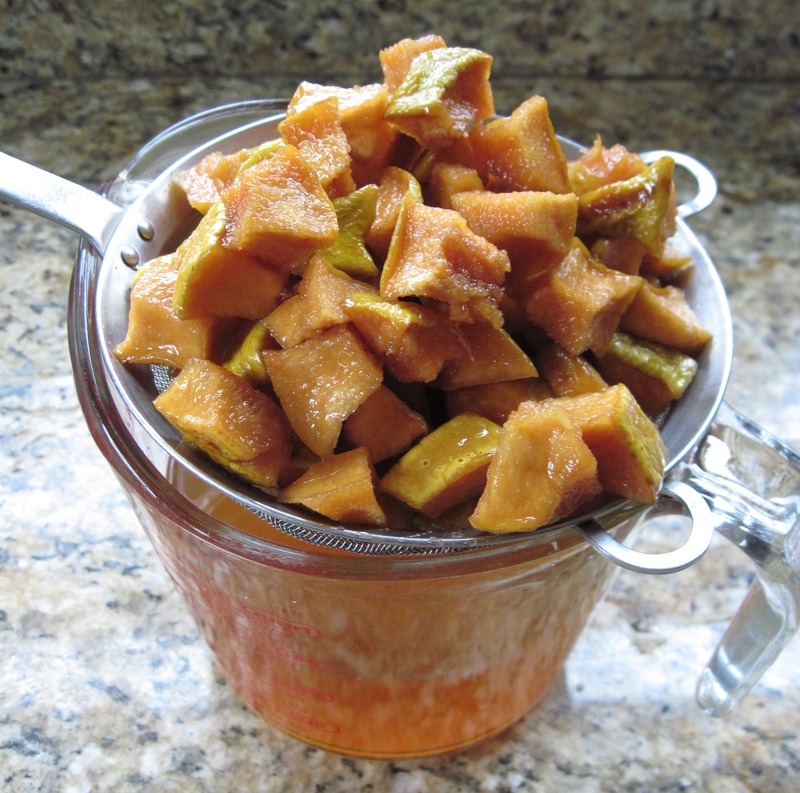 I make quince-honey syrup every year by simply mixing a pound of cubed quince with a pint of honey (this and many other syrup recipes are in The Joy of Jams, Jellies, and Other Sweet Preserves). The honey draws water out of the quince pieces, which slowly shrivel, and soon I have 2 ½ cups of raw syrup, rich with vitamin C from the quince and aromatics from both the quince and the honey, ready to soothe any sore throat that arises. We’d had no sore throats over the winter, and now spring had almost arrived. It was time to strain that syrup, revive the shriveled quince cubes by simmering them in white wine, and make myself some quince-honey tibi. The tibicos seemed to respond to the honey as well and as fast as they did to refined sugar. The drink turned out a little foamier than usual (honey causes foaming when used in jam making, too). It tasted strongly of both quince and honey. The quince-honey tibi was especially delicious after a week, when it was less sweet and noticeably, though barely, alcoholic. At this point I value my tibicos enough to want to share them. Sadly, they haven’t multipled noticeably; I still have only about two tablespoons. Rose Marie said ginger seemed to encourage tibicos to reproduce, but mine didn’t respond when I put a couple of slices of ginger in their refrigerator tub. In Jürgen Reiss’s experiments, he found that tibicos reproduced themselves when fed dry figs but not when given other dry fruits (raisins, dates, prunes). In my pantry I have dried Desert King figs in plenty. My next batch of tibi, I think, will be fig-flavored—perhaps with a little ginger added, too. After that, I’ll have to try a Mexican-style batch, with pineapple. I don’t need to buy a pineapple, actually. As I now recall, there’s a bottle of pineapple syrup in my pantry. 1. The best source of information I’ve found on tibicos in Mexico is Más Allá de Pulque y el Tepache: Las Bebidas Alcohólicas no Destiladas Indígenas de México, by Augusto Godoy, Teófilo Herrera, and Miguel Ulloa (México City: Universidad Nacional Autónoma de México, 2003). As far as I can find, the book is unavailable in any U.S. library or bookstore, but most of the discussion can be read on Google Books. 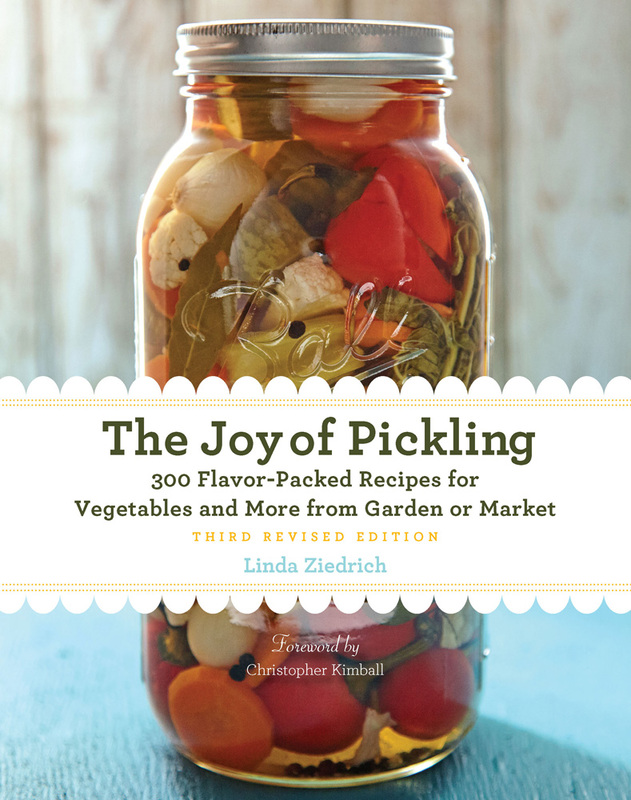 According to this book and other sources, tibicos develop on the fruits and pads of nopal cactus, which may be the original, ancient source of the grains. 2. Online sources for tibidos include www.yemoos.com and www.waterkefirgrains.com. 3. “Metabolic Activity of Tibi Grains,” in Zeitschrift für Lebensmittel-Untersuchung und Forschung 191:462­–65. 4. Jayaram Chandrashekar et al., “The Taste of Carbonation,” in Science 16 (October 2009): 443-45. 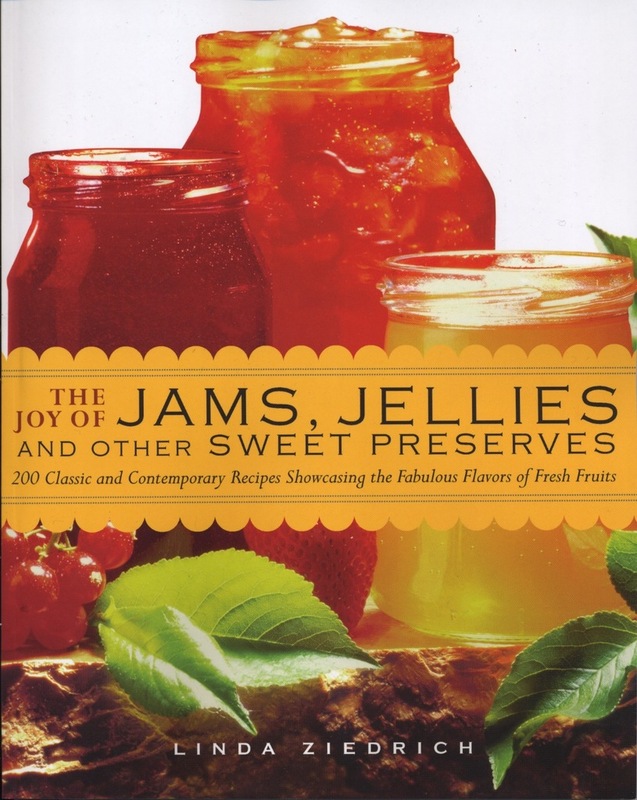 This entry was posted in Books and blogs, Fermented foods, Fruits, Preserving science and tagged carbonated drinks, carbonated water, carbonation, fruit syrups, honey, pop, quince, soda, syrup, tibi, tibicos, water kefir. Bookmark the permalink. How alcoholic is it? Not for children? My teen could use a good dose of probiotics. I do have some brown glass clamp-lid bottles too (as long as the tibi don’t need light). I hope the plum tibi didn’t leave permanent stains all over your kitchen! From Jürgen Reiss’s numbers I figured the maximum alcohol level as less than 0.5 percent. I don’t feel the alcohol, but I’ve drunk no more than about 6 ounces at a time. The sprayed tibi didn’t permanently stain anything except the cookbooks. Where can I find this article by Jurgen Reiss? Jerry, I don’t remember where I was able to read to that article; I know I didn’t pay for it. But you can read a summary and buy the whole article, if you wish, at http://link.springer.com/article/10.1007/BF01193095?no-access=true. What a fascinating post, Linda! Thank you. I may consider this as I usually end of with some extra ‘syrup’ when making preserves. Thanks, Katie! Rose Marie lost her tibicos, so yesterday she recommended building my supply by feeding them with lemon peel as well as some ginger and the fig I’d already given them, so that I’ll have some grains to share when I see her on Wednesday. If all those treats and the warmth of a heating pad don’t boost their fertility soon, I’ll give them an eggshell as well. I have just started on water kefir a few days ago, as I was only making my own milk kefir. This is a great place to get new ideas about how to make proper water kefir drinks. Thanks a lot and good luck. Honey is antibacterial , and although tibis will fermentate with it, they won’t reproduce and it weakens them over time. Also, you should split the process in two steps. Do a first fermentation with plain brown sugar , water and the tibi, for 48 jours on the counter and THEN tremove the tibi and add whatever you want (honey, syrup , dried fruits etc) to the liquid, on the counter again. Refrigeration puts the tibis to “sleep” so it’s mainly for storing back up. I was given some grains a weeks ago and have doubled the amount I got since! I use only a small portion of my tibicos for experimental beverages. The rest sit on the counter as you advise, Nathalie, in water with brown sugar added. They’re still not multiplying much, though. Perhaps they dislike like mineral-rich well water. Thanks for that interesting tip, Belinda. I wonder if adding molasses to refined sugar or ordinary brown sugar could work as well. Several years I have preparing yogurt at home with dry culture and I know about kefir grains, but had never heard about water kefir. I have to order order and try. , sultanas then. Hope that helps. Thanks for sharing your experience, Debanna. I’ve had more multiplication with molasses as well–though I think what has helped most is warm summer temperatures. I have had two water kefir experiences. The first time I got grains, they didn’t multiply at all and I eventually tired of them and put them in the compost. I decided to give it another try last winter and these are growing like weeds on just filtered water and organic evaporated cane sugar–our house is even cold, 58 at night and 60-68 during the day. My conclusion was that some of the grains are just more robust. Our favorite flavor is apple cider (just used the last of the frozen) with ginger and my kids no longer ask for Izze soda! Thanks for sharing some of the info behind this. Thanks for this information. Was the second batch of grains from a source different from that of the first batch? Also, did you use filtered water for both batches? If you want TIBI grains to reproduce, use for them just pure RAPADURA, thats it. Rapadura is a Brazilian term for solid, hard, unrefined cane sugar. Mexican piloncillo is a similar product that’s generally easier to find in the United States. Any unrefined cane sugar should work as well, whether it comes as a hard block or granulated. Thanks for the advice, Rene. Rene, what country do you live in? Rapunzel is the only brand of rapadura sugar that I’ve found advertised in the USA. The Ginger aids in reproduction immensely. You have to go for the gusto! A few slices ain’t gonna get you no where! You take the a few inches of ginger root and blend it with water until its a mush. Strain that ginger mush water through a mesh bag or cheesecloth. Get that ginger water in that there fermenting vessel with the sugar and the tibis. They will thank you. Some of our favorite flavors include lemon-ginger, grape (from homemade juice), rhubarb, and hibiscus tea (the last two have a beautiful rosy color as well some added tartness). I always add flavorings during secondary ferment. I also always add a generous pinch of sea salt (which is not detectable in the final product but the grains seem to like). I also sometimes add Concentrace or sea minerals which the grains really seem to enjoy. Did your grains finally reproduce? My batch has dubbled in since on a week and a half. I use tap water and once the liquid is filtered, I just add water, white sugar, 2 dry figs and 2 slices of lemon. I do not rince the grains nor the jar. By the way, I am from Belgium and I have never heard the word tibi or tibicos for water kefir: we just call them ‘kefir d’eau’ or ‘kefir de fruits’. My grains never did reproduce, at least not much, and I finally got bored with water kefir. My French house guest took up the habit, using your exact method, if I remember right. But after a month or so he, too, neglected the little grains. As a confirmed water drinker, I didn’t try to revive them. Still, the experiment was fascinating while it lasted! Water kefiris the most common name for tibicos here, but I find it confusing, since water kefir is so different from true kefir. I prefer a term that honors the origins of this unusual drink. I have had water kefir grains for years but only ever heard that the first feed when the grains are in should be sugar water the less refined the better, you can also increase the minerals with eggshells, high mineral salts (pink, sea) they also like lemon juice. The second ferment feeds on fruit only. I have had several different batches of grains over the years and never had any problem with multiplying following this! Thank you for your links I am very interested in reading about using fruit for a first ferment I find it hard to try and get the sugar as low as possible without starving the grains. You have probably worked out by now if you have more grains you can ferment quicker or less and leave it longer, I literally have to throw away grains every day mine have always multiplied so quickly. If I do a blackstrap molasses brew I turn it into coke! There are many recipes online, yum! Claudia, I stopped experimenting with tibicos years ago, because I haven’t much taste for sweet drinks, but if I ever start again I will keep your recommendations in mind. Thanks! Wow, wee only the Yemoos link worked but what A link, I learned so much thank you! I forgot to say the sugar level in fruit effects the amount of fizz so if you put a lemon juice I get a pleasant level that does not burst out of the bottle. If I use something very sweet like mango I need a cloth to cover the lid when I open or it’s on the ceiling and I end up losing most of the drink.